The Games on Demand version supports English. 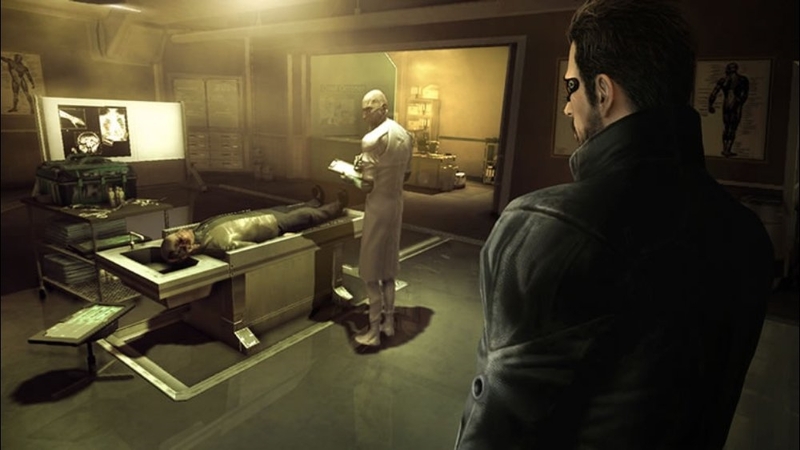 In DEUS EX : HUMAN REVOLUTION, you play Adam Jensen, a security specialist, handpicked to oversee the defense of one of America’s most experimental biotechnology firms. But when a black ops team uses a plan you designed to break in and kill the scientists you were hired to protect, everything you thought you knew about your job changes. At a time when scientific advancements are routinely turning athletes, soldiers and spies into super-enhanced beings, someone is working very hard to ensure mankind’s evolution follows a particular path, and you need to discover why - the decisions you take and the choices you make, will be the only things that can change it. Featured in more than 50 “Best of 2011” videogame lists, Machinima.com- 95/100 “absolutely fantastic”, Eurogamer.net- 9/10 "When you finish, you just want to play it again", Xbox World Magazine- 9.4/10 “It's a great shooter, a great stealth game, a great RPG”, Edge-online.com– 9/10 “Remarkable and unique”, Official Xbox Magazine- “Deliriously addictive”, IGN.com- 9/10, 1UP.com- A. The future is now and the year is 2027. 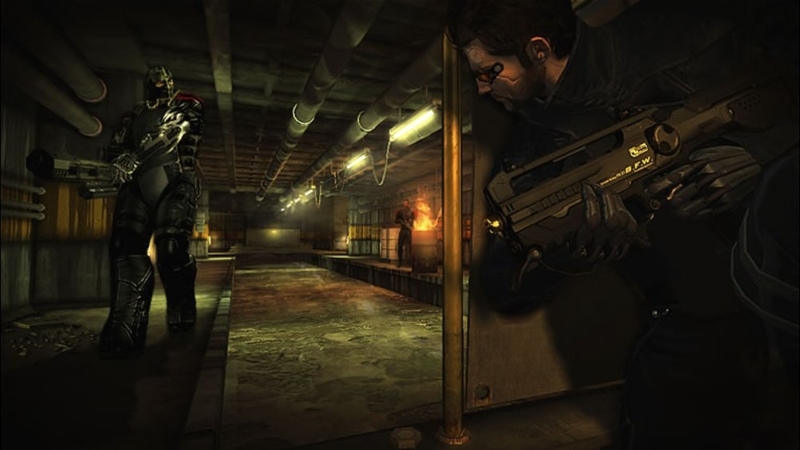 You play Adam Jensen, an ex-SWAT specialist hired to oversee the security needs of Sarif Industries, one of America’s most experimental biotechnology firms. When a team of black ops mercenaries attack Sarif's headquarters killing the very scientists you were hired to protect, everything you thought you knew about your job changes. After being mortally wounded during the attack, you have no choice but to undergo radical life-saving surgeries that transform you into a mechanically enhanced being. Now hot on the trail of those responsible for the attack, you soon find yourself chasing down leads all over the world, never knowing who you can trust. The men pulling the strings will stop at nothing to ensure mankind's evolution follows a particular path. You need to discover where that path lies. Because when all is said and done, the decisions you take, and the choices you make, will be the only things that can change it. The Deus Ex: Human Revolution conspiracy grows deeper in The Missing Link. 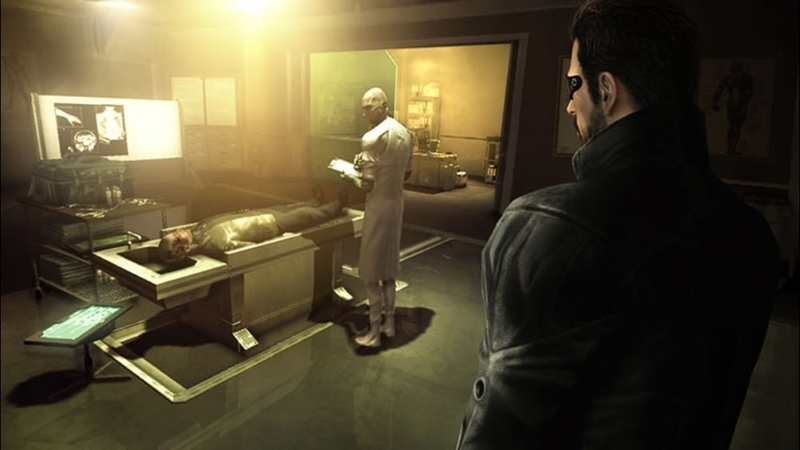 During Adam’s quest for the truth in Deus Ex: Human Revolution, he mysteriously vanishes for three days. Where was he? What did he find out? The Missing Link reveals it all. Unlocks the Double-Barrel Shotgun, the Silenced Sniper Rifle, and 10,000 extra in-game credits for Deus Ex: Human Revolution. 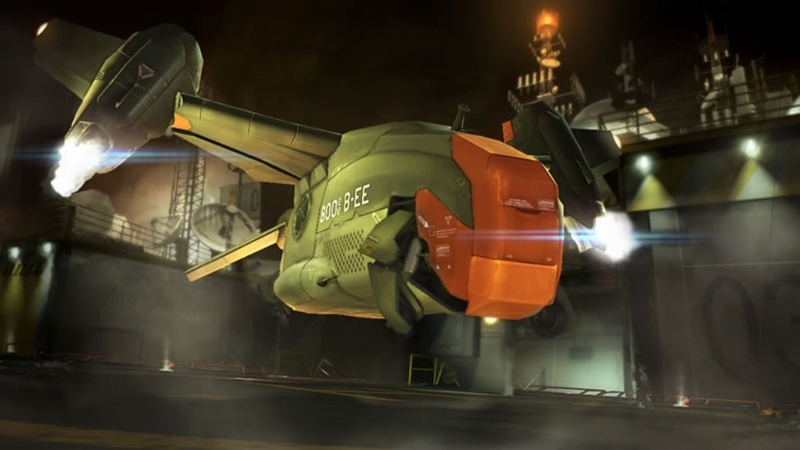 Unlocks the Tong's Rescue Bonus Mission, the Grenade Launcher, the Remote-Detonated Explosive Device and the Automatic Unlocking Device for Deus Ex: Human Revolution. 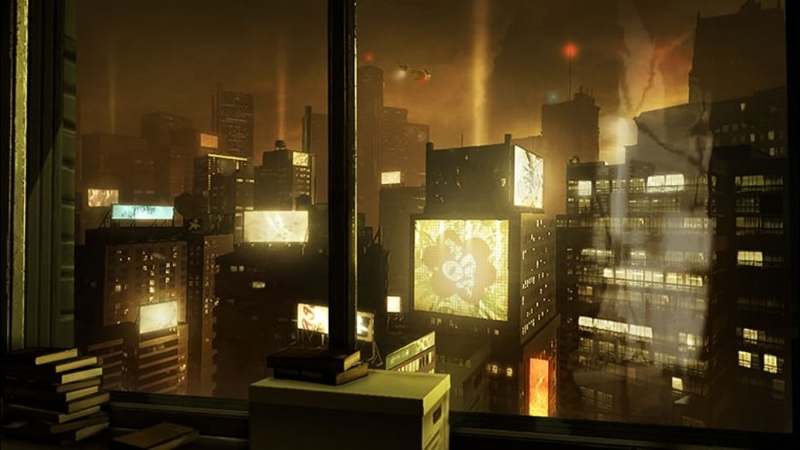 Experience the world of 2027 with this Deus Ex: Human Revolution Locations Premium Theme. Be ready for anything as Adam Jensen. Custom augmentation glasses worn by Adam Jensen. 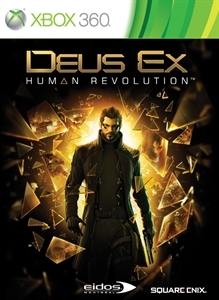 Augment your Xbox 360® with this Deus Ex Human Revolution Premium Theme, featuring five main characters from the game. Protect yourself with this Box Guard robot. The Human Revolution is here! 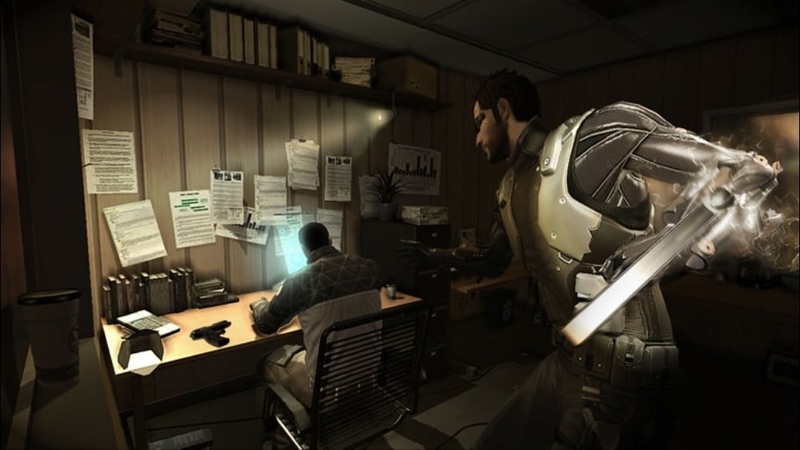 Deus Ex: Human Revolution, one of the year’s most-anticipated video games, is now available! The year is 2027-- a time of great innovation in neuroprosthetics, but also a time of chaos, conspiracy and a new social divide. You take on the role of Adam Jensen, a man cybernetically augmented against his own choice, who finds himself in the middle of a mysterious, global plot to which he holds the key. The truth will change you. 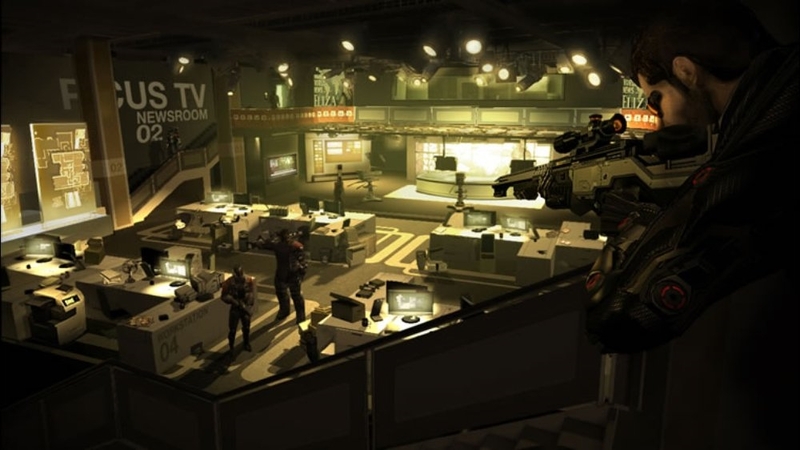 A tips-driven, in-depth look at Deus Ex: Human Revolution. Learn how to best approach situations using stealth, combat, social and hacking gameplay, benefits to using augmentations, story overview and key characters you, as Adam Jensen, will encounter. The truth will change you. 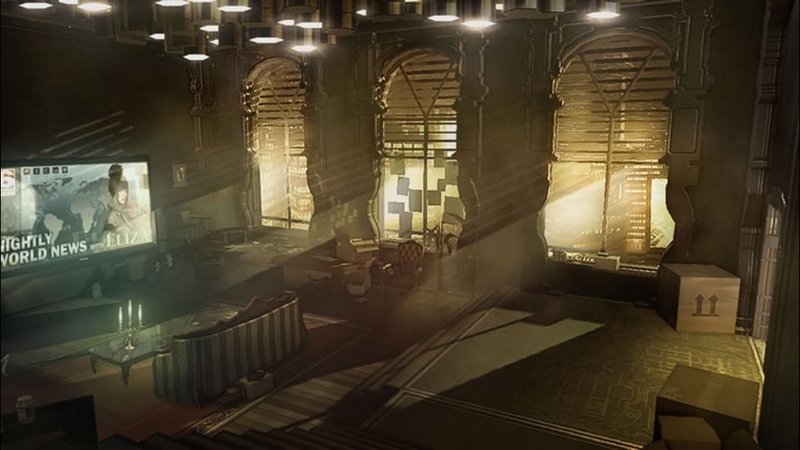 Unveil another layer of the Deus Ex: Human Revolution mystery! Delve deeper into the conspiracy and social turmoil that brews in the near-future, and decide for yourself how YOU will react to it all! Every problem has multiple solutions. 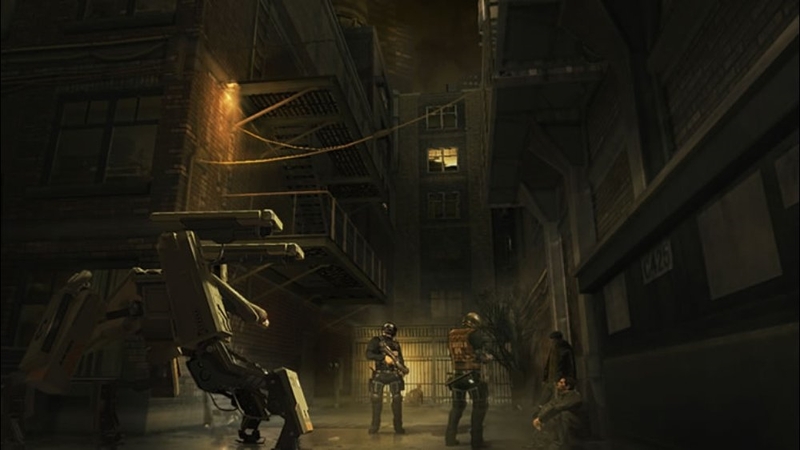 See for yourself how Deus Ex: Human Revolution's goals can be achieved through a wide array of paths and solutions, never leaving you with your back against the wall. What makes a man more than human? Find out what made Adam Jensen into an augmented soldier for truth in this exciting reveal of the events that transformed Adam's life. Unveil Adam Jensen's arsenal as he infiltrates Tai Yong Medical, a heavily guarded fortress in which he must retrieve vital information. With a wide array of upgradable weapons at his disposal, Adam craftily overcomes the various obstacles strewn in his way, until he becomes forced to unleash powerful augmentations in a jaw-dropping showdown. Witness firsthand how the innovative tools at your disposal can help you transform Adam into anything from an invisible infiltrator to an armored soldier. Adam Jensen didn't choose this. Physically augmented following devastating attacks on his employer, Adam must face new enemies, who, just like him, have evolved far beyond basic human capabilities. Caught in a web of intrigue that will bring him from the streets of Detroit to the edge of the world, Adam’s choices will decide his destiny and the fate of mankind, whether he wants it or not. 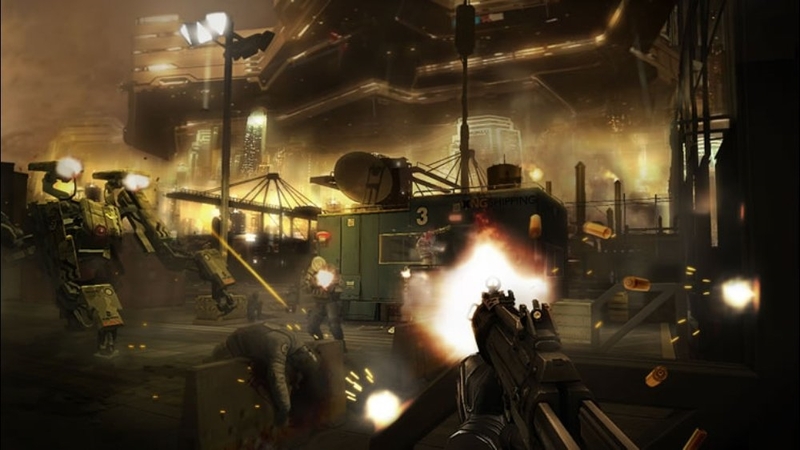 For the very first time, see footage of Deus Ex: Human Revolution in action and discover the perils of Lower Hengsha, a city in turmoil. As you talk, sneak and shoot your way through seedy underbelly of the city, you will soon discover that some actions have irrevocable consequences. Once you dive in, there is no going back. "In DEUS EX: HUMAN REVOLUTION, you play Adam Jensen, a security specialist, handpicked to oversee the defense of one of America’s most experimental biotechnology firms. At a time when scientific advancements are routinely turning athletes, soldiers and spies into super-enhanced beings, someone is working very hard to ensure mankind’s evolution follows a particular path." Download this trailer.